ISSN=1799-7976. 3rd quarter 2017, Appendix figure 3. 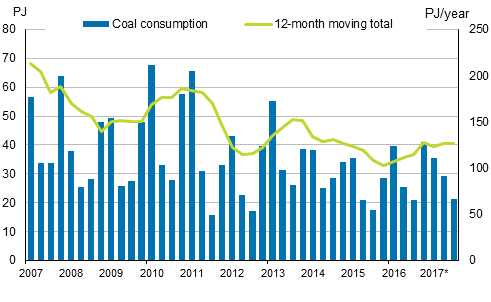 Coal consumption . Helsinki: Statistics Finland [referred: 26.4.2019].